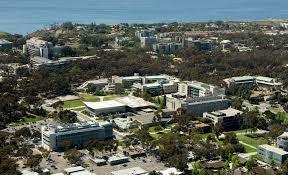 Endowed for $1.17 billion, the University of California – San Diego is a public, sea-grant RU/VH research institution educating over 33,700 students from its sprawling 2,141-acre suburban campus in La Jolla overlooking the Pacific. The U.S. News and World Report distinguishes the University of California – San Diego as the 44th Best National University, 71st Top Value, and 10th Best Public College. The NCATE-accredited Department of Education Studies holds the 74th Best Graduate Education Degrees. Through the University of California – San Diego Extension, special educators can finish the Reading Instruction Certificate online with six courses. Teachers become fluent in literacy assessment, intervention, and instruction strategies to improve student achievement. After the capstone reading portfolio, graduates can pursue endorsement via the California Commission on Teacher Credentialing. Learn more about the Special Education Reading Certificate Programs at the University of California – San Diego here. As the Sunshine State’s only AAU member, the University of Florida is a flagship public, land-grant RU/VH institution standing upon a 2,000-acre suburban campus in Gainesville to serve over 52,500 students. The “Public Ivy” is crowned America’s 50th Best University and 14th Top Public College by the U.S. News and World Report. Holding NCATE accreditation, the University of Florida College of Education is lauded for the #1 Best Online Graduate Education Programs. One such option is the Dyslexia Graduate Certificate. This 12-month certificate allows practicing educators to conduct literacy assessments and implement evidence-based reading interventions for dyslexic youth. Post-baccalaureate online courses will include one local practicum placement. Certified teachers could also add the five-course Reading Endorsement for remediation of literacy difficulties. Learn more about the Special Education Reading Certificate Programs at the University of Florida here. 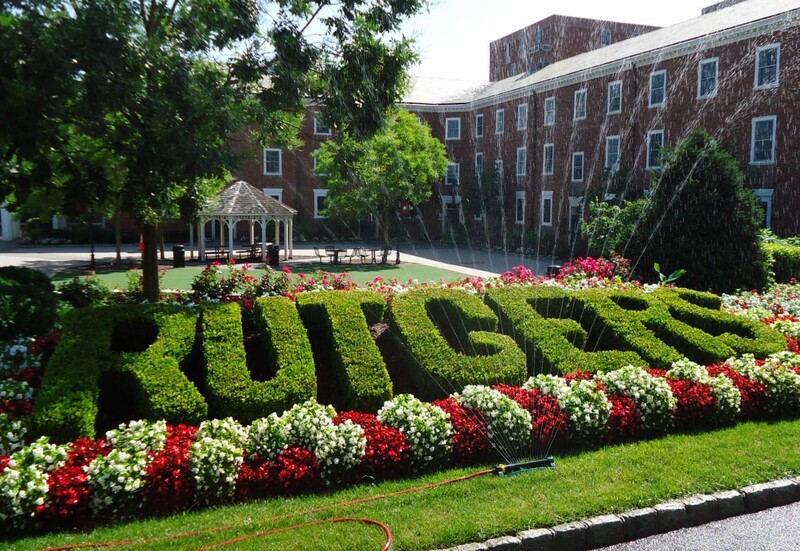 Chartered by the Dutch Reformed Church in 1766, Rutgers University is a public, nonsectarian RU/VH institution enrolling over 67,000 students in the Big Ten Academic Alliance from its main 2,688-acre urban campus in New Brunswick and several extensions. The U.S. News and World Report named Rutgers the 70th Best National University, 25th Top Public School, and 42nd Most Veteran-Friendly College. Known for its Center of Literacy Development, the NCATE-accredited Graduate School of Education also ranks 62nd nationally. Individuals with a master’s degree in education could pursue the Reading Specialist Certificate in a hybrid format. This 30-credit endorsement aligns with New Jersey standards to deepen teachers’ literacy skills with struggling readers. Courses can also transfer into the Ed.M. in Reading program. 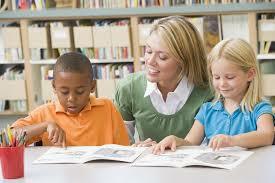 Learn more about the Special Education Reading Certificate Programs at Rutgers University here. 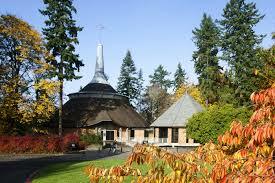 Belonging to the Annapolis Group, Lewis & Clark College is a private, nonprofit liberal arts institution enlightening around 3,500 students from its 137-acre residential campus atop Palatine Hill in Portland, Oregon. Named Kiplinger’s 75th Best Value, Lewis & Clark is America’s 87th Top Liberal Arts college according to the U.S. News and World Report. The Princeton Review listed Lewis & Clark among the country’s “Top 25 Schools Making an Impact.” Within the NCATE-accredited Graduate School of Education and Counseling, there’s a 15-credit Reading Intervention Endorsement Program available. Beginning each September, January, and June, this cohort-based certificate spans 18 months part-time in evenings and on weekends. Certified teachers study theories from Rosenblatt to Atwell to perfect their reading and writing instruction strategies in PreK-12 schools. Learn more about the Special Education Reading Certificate Programs at Lewis & Clark College here. 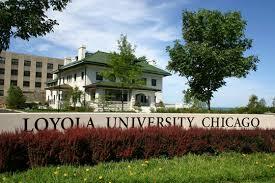 Affiliated with the Society of Jesus since 1870, Loyola University Chicago is a private, co-educational Catholic and Jesus research institution enrolling over 15,000 students upon its 105-acre urban campus in Rogers Park along the Lake Michigan shoreline. According to the U.S. News and World Report, Loyola University Chicago is America’s 99th Best University, 64th Best for Vets School, and 47th Top Value. Also recognized for the 99th Best Teacher Preparation, the School of Education maintains NCATE accreditation and ISBE approval. Special education teachers could obtain the 24-credit Reading Teacher Endorsement Certificate part-time in four semesters. Courses cover literacy assessment, disability diagnosis, literature analysis, emergent literacy, and writing composition. One practicum in any PreK-12 school setting is required. Admission mandates an accredited bachelor’s degree and minimum 3.0 GPA. Learn more about the Special Education Reading Certificate Programs at Loyola University Chicago here. Established in 1869 under the Morrill Act, the University of Nebraska – Lincoln is a flagship public, land-grant research institution endowed for $1.5 billion to educate more than 25,200 from its 613-acre urban campus in the Cornhusker State’s capital. The U.S. News and World Report placed the University of Nebraska – Lincoln as the 111th Best National University and 51st Best Public College. Holding TEAC accreditation, the College of Education stands out as America’s 39th Top Teacher Producer. Licensed educators can pursue the Response to Intervention: Reading Certificate with on-site and online courses. The 15-credit program follows IDEA Act legislation to train literacy specialists on RTI training for exceptional children. Teachers develop the multi-tier strategies to support reading disabilities early with top-quality instruction. Learn more about the Special Education Reading Certificate Programs at the University of Nebraska – Lincoln here. Classified as a public, doctoral-granting RU/H research institution, Ohio University selectively admits over 38,000 students from its 1,850-acre rural campus in Athens to extensions in Dublin, Ironton, Proctorville, Zanesville, and online. Cited in Forbes’ “100 Best College Buys,” Ohio is ranked the 146th Best National University and 74th Top Public School by the U.S. News and World Report. The Gladys W. and David H. Patton College of Education maintains NCATE accreditation for the 62nd Best Online Graduate Teaching Degrees. The 15-credit Reading Endorsement Program can be completed online by licensed teachers broadening their specialty to literacy. Each reading intervention course is supplemented with 35 fieldwork hours. The certificate is approved by the Ohio Board of Regents for the Third Grade Reading Guarantee. 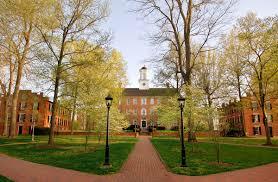 Learn more about the Special Education Reading Certificate Programs at Ohio University here. Positioned atop the Laramie Plains on a 785-acre suburban campus at 7,220 feet elevation, the University of Wyoming is a flagship public, land-grant Midwestern institution attracting over 13,900 students. 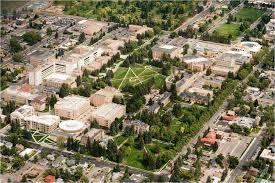 According to the U.S. News and World Report, Wyoming is America’s 171st Best University and 90th Top Public College. As the Cowboy State’s only NCATE-accredited school, the College of Education confers the 126th Best Graduate Teaching Education Nationally. Special education teachers could obtain the 21-credit Certificate of Literacy. Conducted via video lectures, this distance learning certificate leads to Reading Endorsement for instructing youth who have trouble grasping literacy concepts. Teachers can specialize learning at the K-6, 7-12, or K-12 level for special education. Courses transfer into the M.A.Ed. Curriculum and Instruction degree. Learn more about the Special Education Reading Certificate Programs at the University of Wyoming here. 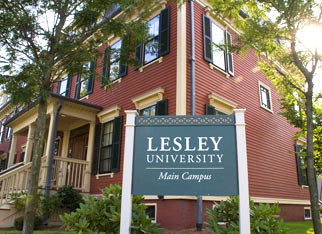 Founded by Edith Lesley in 1909 to train kindergarten teachers, Lesley University is a private, co-educational teaching institution with enrollment surpassing 9,600 on its 13-acre urban campus in Cambridge, Massachusetts. Picked for Princeton Review’s “Best Northeastern Schools” list, Lesley is crowned the 197th Best National Iniversity by the U.S. News and World Report. Boasting over 35,000 alumni, the TEAC-accredited Graduate School of Education is recognized for its 97 percent job placement rate. Experienced K-12 practitioners are welcomed into Lesley’s Certificate of Advanced Graduate Study in Specialist Teacher of Reading program. This 45-credit, post-master’s certificate meets the International Literacy Association’s standards for designing language arts curriculum. Courses are face-to-face with a 150-hour, off-campus practicum. Professional teaching license in Massachusetts is required. Learn more about the Special Education Reading Certificate Programs at Lesley University here. Occupying a 157-acre urban campus adjacent to the Country Club Plaza in the Show Me State’s largest city, the University of Missouri-Kansas City has grown since 1933 to educate over 16,100 students as a public research institution. The U.S. News placed the University of Missouri – Kansas City as America’s 210th Best National University and 118th Top Public College. Also distinguished as the 146th Best Education School, the NCATE-accredited School of Education has an unwavering commitment to urban youth. The Reading Intervention Graduate Certificate is granted to working teachers who seek DESE Special Reading Certification. Containing four courses, the nine-month curriculum focuses on improving the effectiveness of Tier 2&3 reading instruction in diverse classrooms. There’s also a Master of Arts in Language and Literacy offered. 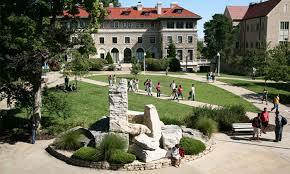 Learn more about Special Education Reading Certificate Programs at the University of Missouri – Kansas City here. This entry was posted in University Rankings on October 27, 2016 by tjentz.